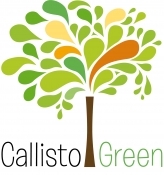 Callisto Green is a traditional, independent book publisher based in the south of England, creating print and digital books both for adults and for children ages 5-15. Always on the lookout for exciting new projects by new and established authors and illustrators, we are passionate about books that are quirky, creative and spark our imagination. We welcome translation and other subsidiary rights interest in our titles from publishers outside the United Kingdom, and agents and distributors from around the world. Currently accepting author submissions.